Reflections Holiday Parks Ticked All My Holiday Goals! 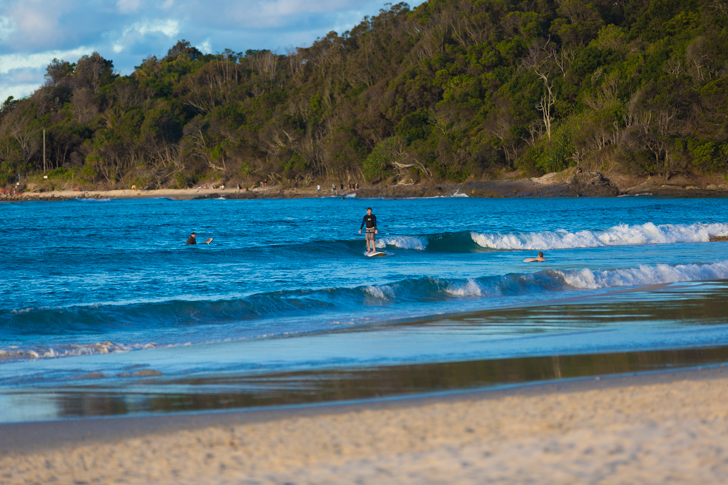 Reflections Holiday Park at Byron Bay Ticked All My Holiday Goals!Everyone went home happy! This post is sponsored by Reflections Holiday Parks. 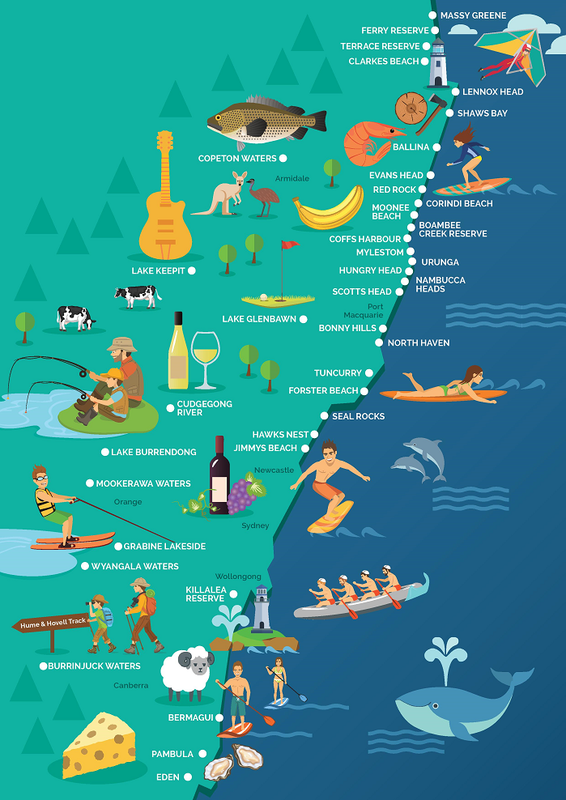 So when I had the opportunity to go to Byron Bay, a place I’d never visited before, I jumped at the chance. 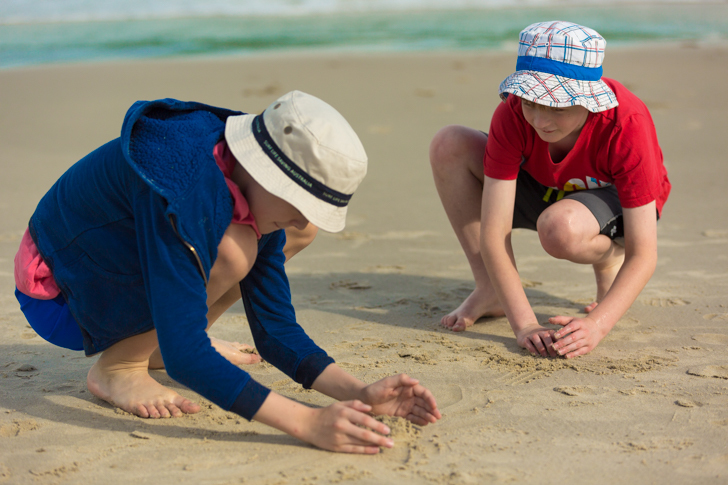 I’d heard about how beautiful it was, how gorgeous the beaches were, and my boys were so keen to go! Plus apparently the Hemsworth brothers have homes there, so we were keen to do some ‘celebrity spotting’. So we packed up the car and drove the four and a half hours down to Byron! There were a lot of tanned people with six-packs. The town itself is super cute with lots of little shops, too many slushy joints and surf stores. We drove up to the lighthouse which was amazing! Beware though: parking is an absolute nightmare if you can find a park at all! We were lucky that we stayed close enough to town that we can walk in – which saved us a fortune in parking fees – and we could work off all those slushies which tasted as amazing as they looked. The beaches are incredible. We walked down to Clarke’s Beach for a swim about a bisquillion times a day – it was just literally metres from our cabin. We invested in some $20 boogie boards for the boys who just adore the waves – which are big enough to keep kids happy, but not big enough to scare Mums like me who freak out easily (I touched a rock with my foot and nearly wet myself!). If you are into Stand Up Paddle Boards or surfing, you are going to be in heaven! People watch – for hours! We had a two bedroom cabin at Reflections Holiday Parks Clarkes Beach (formerly North Coast Holiday Parks). It was spacious as cabin’s go, it had air conditioning (winning), two sets of bunk beds in the kids’ bedroom, and a Queen size bed in the other room. A large lounge room, dining room table, two televisions (and Foxtel – I got in a lot of ‘Say Yes to the Dress’ episodes). The kitchen had a microwave and two burner cooktop, dishwasher and fridge. We just did a shop at Woolworths when we got there and bought the usual stuff a family needs, cereal, milk, biscuits etc. The cabin was spotlessly clean, comfortable and spacious. It had everything a family could wish for. The park also had barbecues, a playground and was right on the beach (with two beach accesses straight from the park). 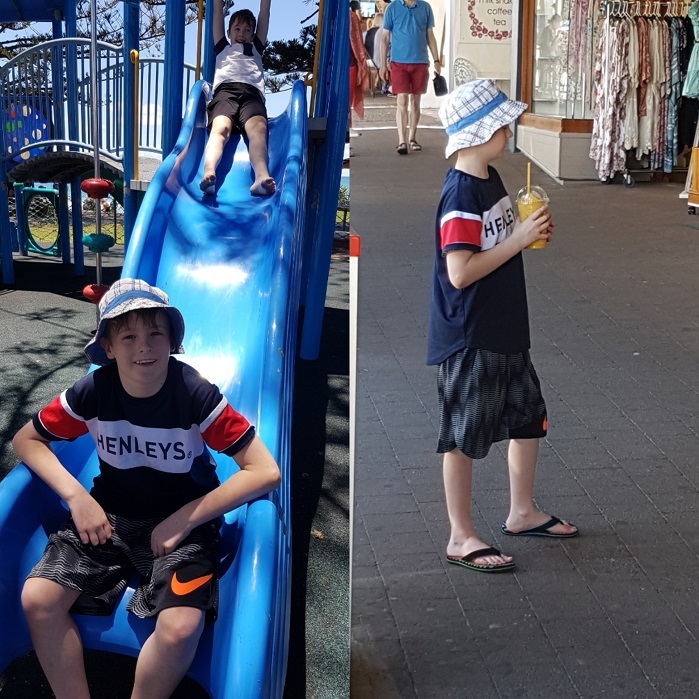 Best of all (as mentioned before) – it was close to town – only a 10-minute walk that the kids did easily and we could either go via road or beach. We opted to cook in the cabin as Byron Bay is pretty expensive food wise. We ate breakfast out one day and it was $90 – and that wasn’t for anything fancy! Yes the breakfast was nice, but $90 is a lot of money! I highly recommend buying lots of fruit and salads and letting the kids graze. But if you can afford it – you can eat like a king. There were Mexican, Sushi, Thai, Italian – a million fancy coffee joints and loads of pubs. All of Reflections Holiday Parks (there are 37 of them!) are on absolute iconic locations that cannot be matched. 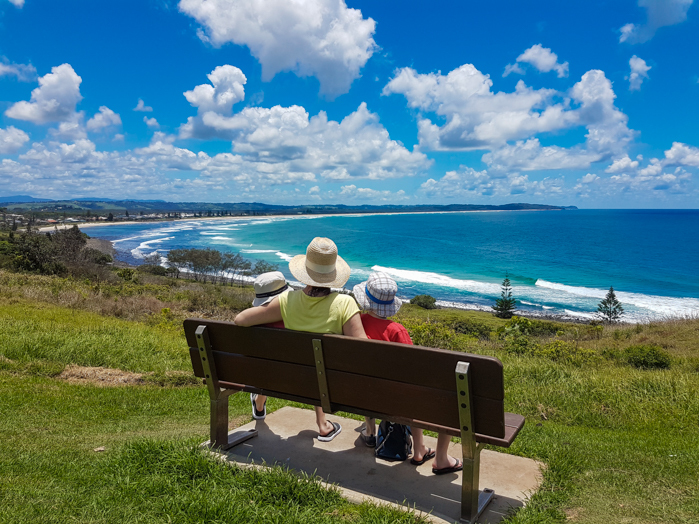 Their camping, caravan and holiday parks are all located on Crown lands, which means you can’t get closer to nature, with the animal life, birds, whales, beaches, lagoons, fishing, surfing, bush walks etc. etc. Many of the parks are also dog friendly – so you can take your fur babies with you. 24 of the 37 locations within the Reflections Holiday Parks group allow dogs to holiday alongside their families. We left our two pooches at home, but I’d certainly take them with me next time! I was really impressed when I found out that Reflections Holiday Parks actively invest back into their parks and the surrounding reserves. They give an annual contribution to Crown Lands NSW, whose funds support community groups in operating and developing public reserves on Crown land across the state. So as you unwind, remember that funds raised from your stay go back into caring for and re-developing local parks and surrounds. Your break reinvigorates both you and the environment.